The Land based unit eliminates night and early AM congregating by disturbing the geese just enough to encourage them to move to another location. Solar power recharges the batteries making this free of maintenance, along with effective coverage up to 75 yards from placement makes this ideal for keeping the geese away. Unit uses a Nickle Metal Hydride (NiMH) battery. 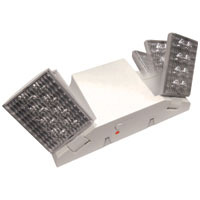 The whole light is replaced when the old light stops working. Comes with a 2 year warranty. 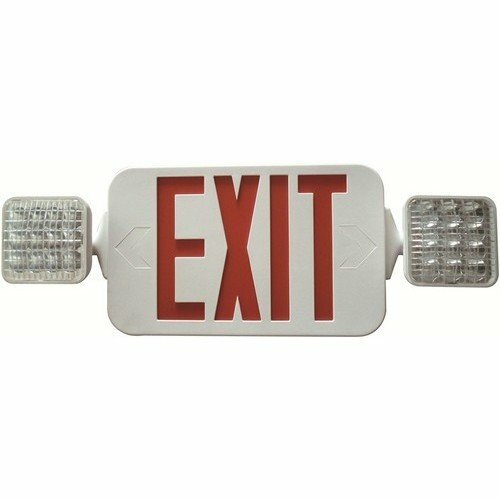 Combination LED Wet Location Exit Sign & Emergency Light Red legend - This Wet Location LED Exit Sign is perfect for applications such as washdown areas where the fixture is exposed to moisture. 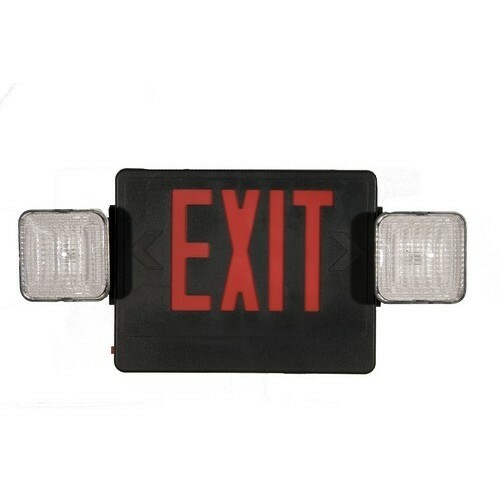 Square Head LED Combo Exit/Emergency Light High Output Red LED Black Housing - Combination LED Energy Saving Exit Sign and LED Emergency Lighting Unit In One Compact Design. Carton Qty: 6 This item does not ship to APO/FPO addresses. 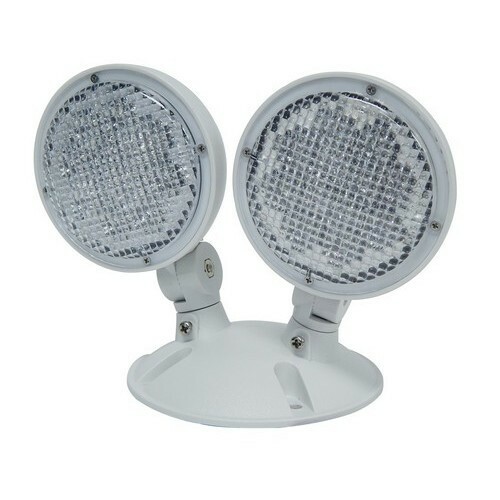 Round Head LED Emergency Light High Output White - Micro Size LED Energy Saving Emergency Lighting Unit In One Compact Design. 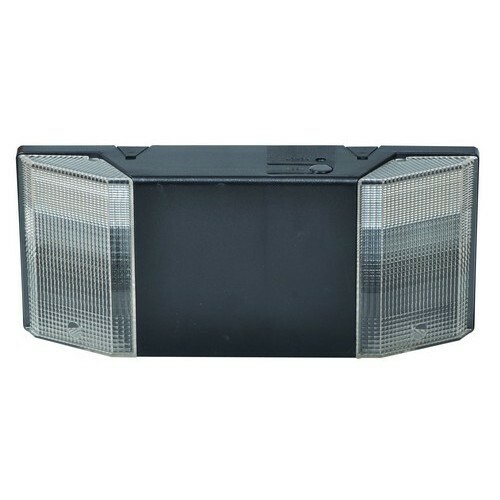 Case Qty: 12 This item does not ship to APO/FPO addresses. 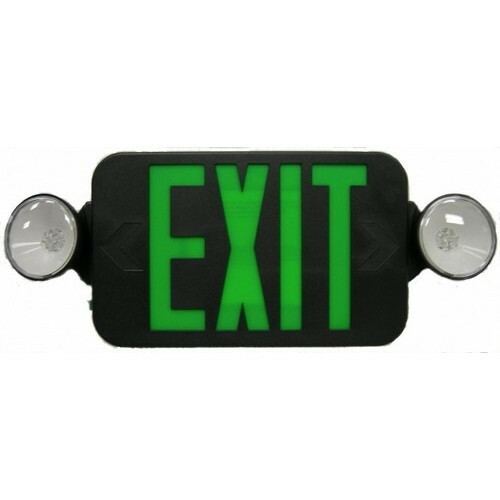 Prism Style Incandescent Emergency Light Black - These Exit Emergency Lights are a must for safe work environments. 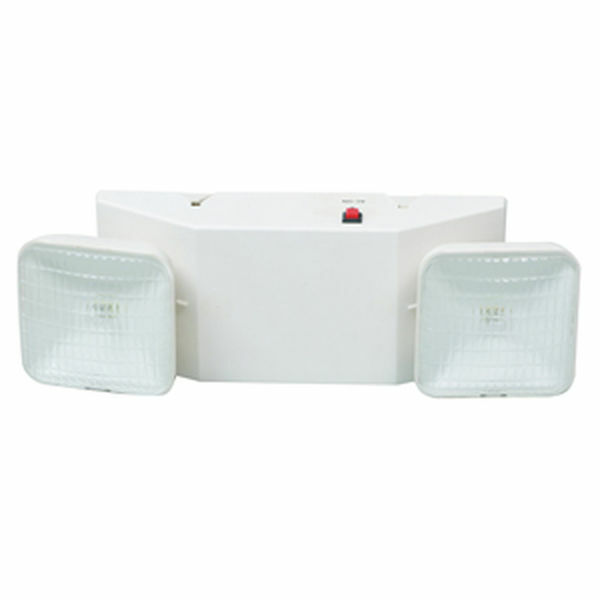 LED Cold Weather Wet Location Remote Capable Emergency Light - LED Energy Saving Emergency Lighting Unit In One Compact Design. Battery: 9.6V Ni-Cad 19mAH This item does not ship to APO/FPO addresses. 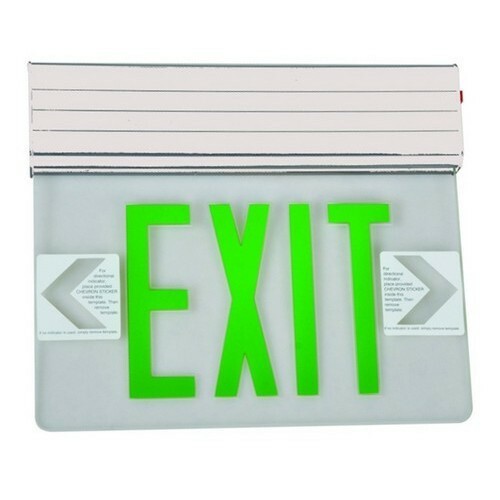 Square Head LED Combo Exit/Emergency Light High Output Green LED White Housing - Combination LED Energy Saving Exit Sign and LED Emergency Lighting Unit In One Compact Design. 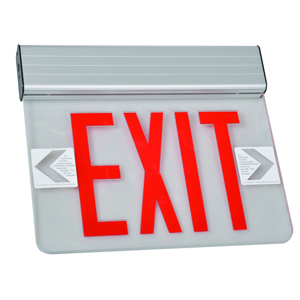 Combo Wet Location LED Exit & Incandescent Emergency Light Red Legend - Our Wet Location Exit Sign points the way in all kinds of weather. Letter Color: Red This item does not ship to APO/FPO addresses. 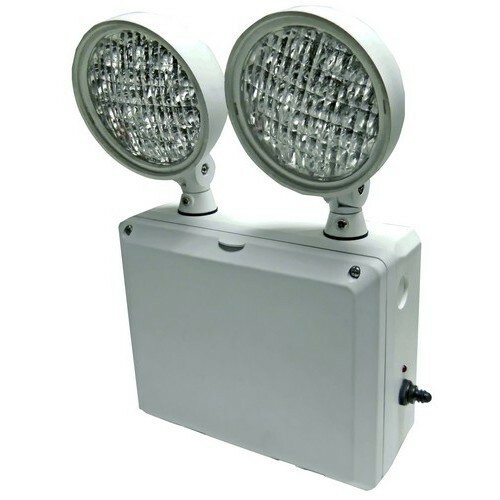 Remote LED Emergency Lamp Head 2 Head Weatherproof - This Weather Proof Dual Head Remote Lamphead has is compatible with LED Exits signs, LED Emergency lights and LED Combo units. Watts: 2.34 This item does not ship to APO/FPO addresses. 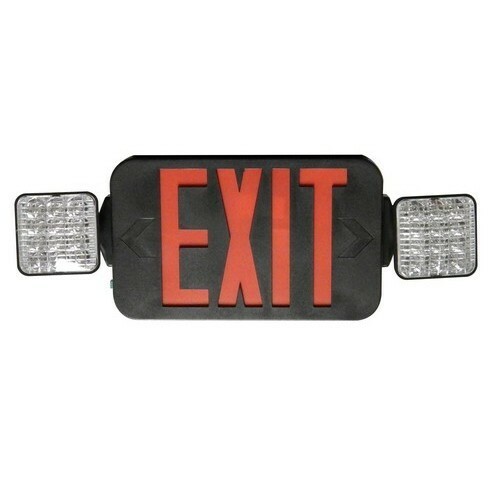 Combo LED Exit Emergency Light Red LED Black Housing - This Emergency Light and LED exit sign provides twice the safety for half the price. 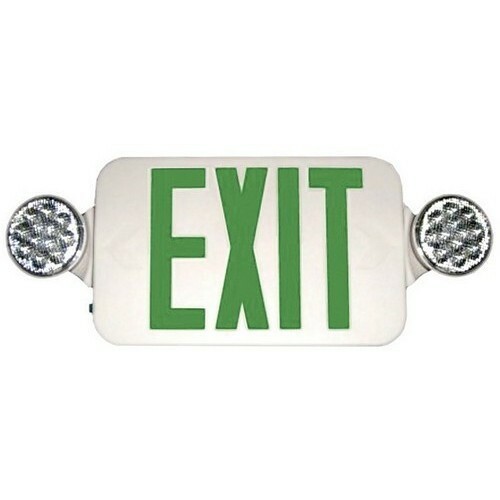 Recessed Mount Edge Lit Exit Sign Double Sided Legend Green LED White Housing - A stylish, Edge Lit LED Exit Sign. Carton Qty: 4 This item does not ship to APO/FPO addresses. 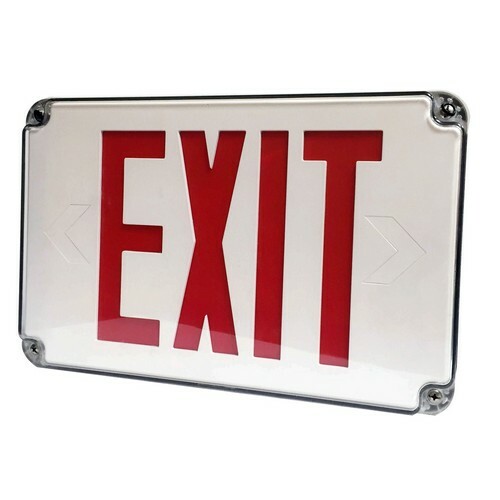 LED Wet Location Exit Sign Red Legend - This Wet Location LED Exit Sign is perfect for applications such as washdown areas where the fixture is exposed to moisture. 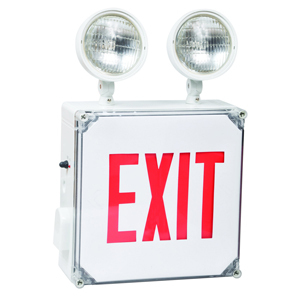 Square Head LED Combo Exit/Emergency Light High Output Red LED White Housing - Combination LED Energy Saving Exit Sign and LED Emergency Lighting Unit In One Compact Design. 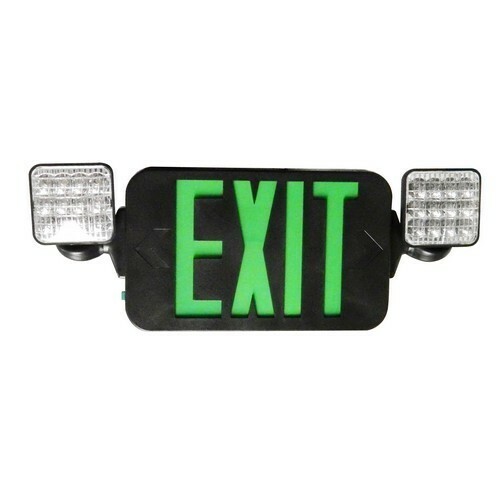 Square Head LED Combo Exit/Emergency Light High Output Green LED Black Housing - Combination LED Energy Saving Exit Sign and LED Emergency Lighting Unit In One Compact Design. 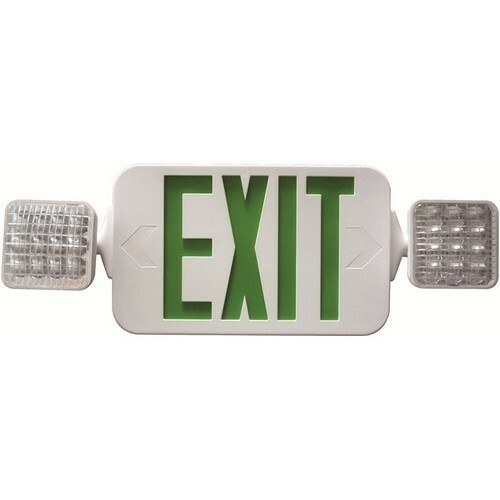 Surface Mount Edge Lit Exit Sign Double Sided Legend Green LED White Housing - Our Multiple Mount LED Exit Signs can go anywhere. 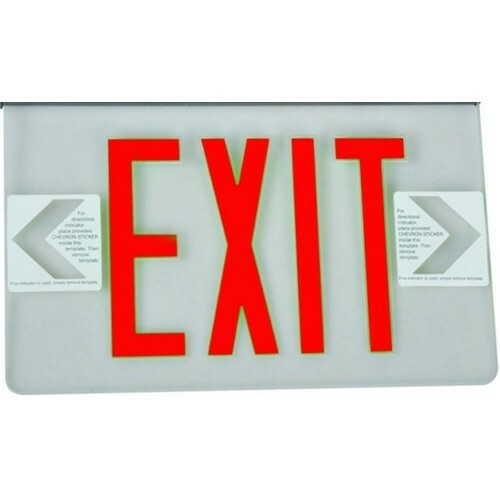 Double Sided Legend Panel for Edge Lit LED Exit Signs Red legend - Replacement Panel for Single Sided Edge Lit panels where double sided is required. 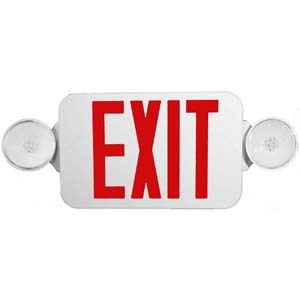 Combination LED Wet Location Exit Sign & Emergency Light Red Legend Remote Capable - This Wet Location LED Exit Sign is perfect for applications such as washdown areas where the fixture is exposed to moisture. 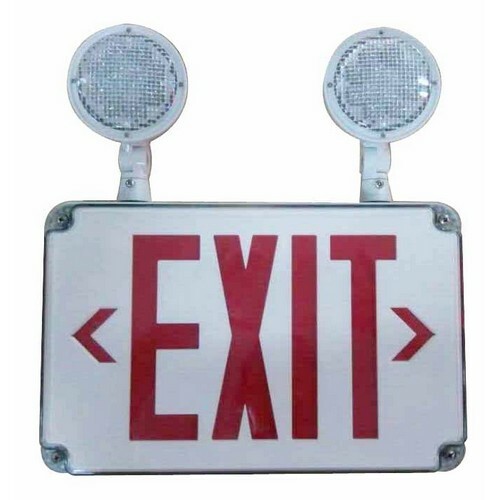 Surface Mount Edge Lit Exit Sign Single Sided Legend Red LED Aluminum Housing - Our Multiple Mount LED Exit Signs can go anywhere. 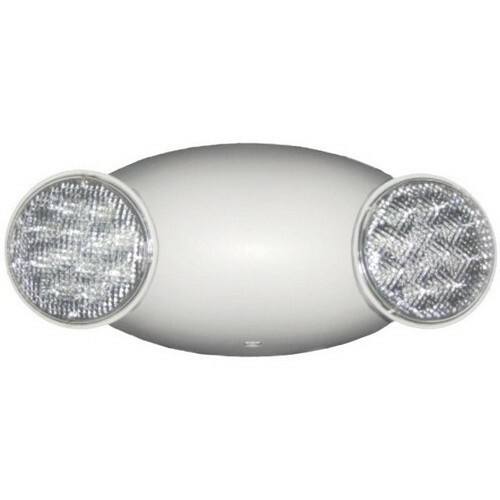 Round Head LED Emergency Light White - Micro Size LED Energy Saving Emergency Lighting Unit In One Compact Design. 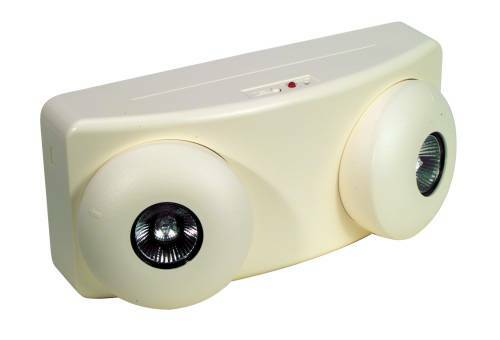 Incandescent Emergency Light - Low Profile Side Lights Remote Capable White - Emergency Lighting Fixtures for large home or office spaces. Water based unit disrupts geese sleep patterns causing them to move to another pond. The product floats in the water and works at night, 7 days a week. Solar powered no changing batteries or running electricity to the site. Maintenance free. Environmentally safe and effective geese control. Barely noticeable to the human eye. Solves Geese problems quickly! Item has an integrated securing point. 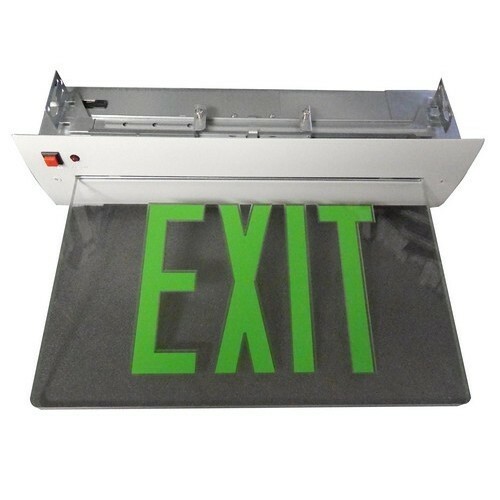 Unit uses lithium battery which is integrated onto the board and then coated in a plastic. This is done because of the product being outside constantly. The whole light is replaced when the old light stops working.